Tach-It twist tie machines. 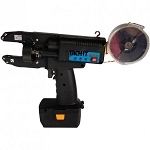 Tach-It is the largest manufacturer in the world of semi-automatic and hand-held twist tie machines. 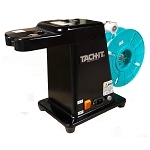 All of our machines are developed using the latest technology, are constructed of the finest components, are operator friendly, reliable and are supported by Tach-It_s reputation for the highest quality equipment and supplies in the industry . 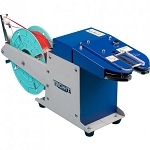 Perfect for bakeries, supermarkets, food service, industrial and retail applications. Uses only a 3" piece of twist tie material with 4 full twists.